1: The ground was opened on 1923, though the site has history of hosting football back into the 1880's. It replaced an earlier structure called Watkin's Tower and was originally meant to be a temporary Empire Exhibition until it was decided to keep it it on as a stadium. 2: The first ever game to be played at Webley was the 1923 FA Cup Final, also known as 'The White Horse Final' It was played just 4 days after building had finished on the stadium. 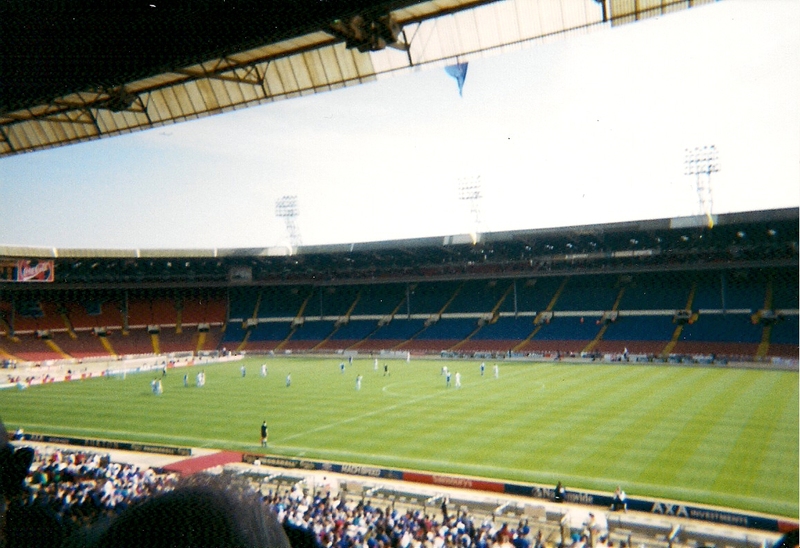 The game, with Bolton Wanderers beating West Ham United 2-0 attracted an official capacity crowd of 126,047 but with little crowd control and people spilling onto the pitch, some reckon there were up to 300,000 in the stadium. 3: The stadium was renovated in 1963 when a roof and electronic scoreboard were added. 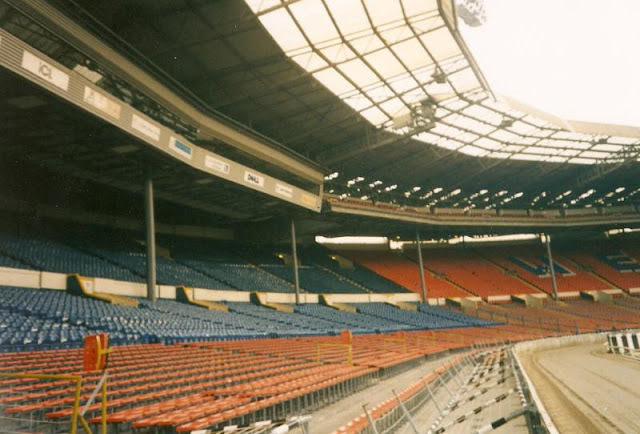 Later on, the ground was made all seater to comply with the Taylor Report following the Hillsborough Disaster. 4: Wembley Stadium held two major football tournaments. 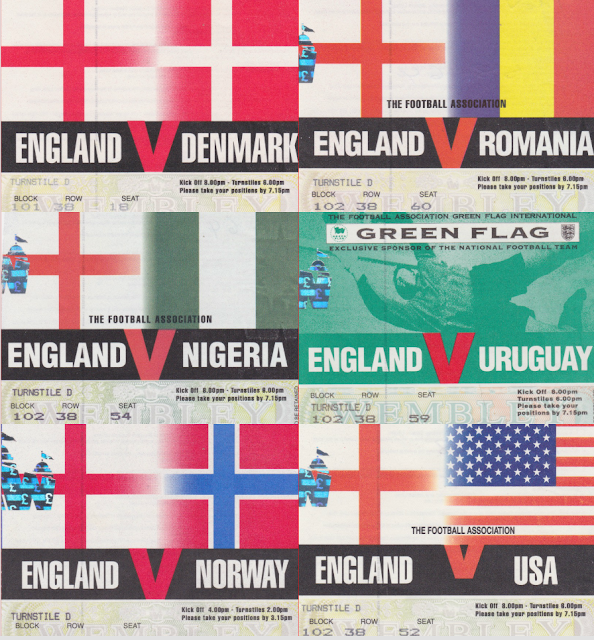 Firstly the 1966 World Cup with England beating West Germany 4-2, though I'm sure you've heard that before as we've not stopped talking about it since. 30 years later England fell just short, going out in the Euro 96 semi-final to Germany. The Germans went on to win the final, beating Czech Republic 2-1 after extra time. 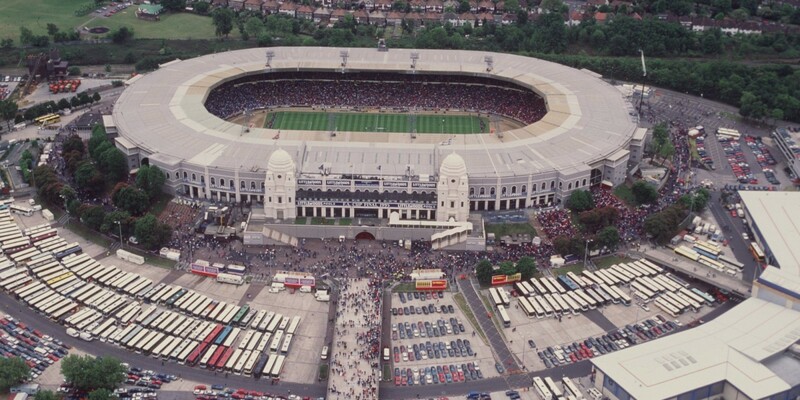 5: Wembley was famous for its twin towers, though they were not saved in the 2003 demolition of the stadium. Some of the debris & rubble is now part of the Northala Fields in Ealing. 6: Other sporting events held at Wembley included the 1948 Summer Olympics, as well as Rugby, American Football and Gaelic Football. One of the staples of the stadium was greyhound racing - this even led to a game in the 1966 World Cup being moved to the nearby White City Stadium as the stadium's owner refused to cancel the regular event. Uruguay beat France 2-1 in the said game on Friday 15th July 1966. 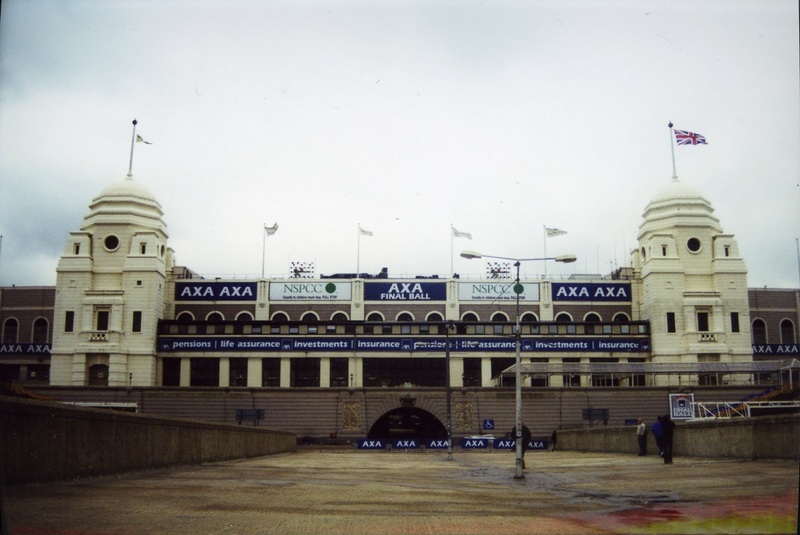 7: Wembley was widely used as a music venue. Most notably the charity concert 'Live Aid' which raised money for those starving in Africa. The event, held on 13th July 1985 featured several acts, including David Bowie, Queen, Paul McCartney, U2, Elton John, Dire Straits & Phil Collins. 8: The football player who played the most games at Wembley was the Arsenal and England defender Tony Adams who made 60 appearances at the stadium. 9: The final game to be played at Wembley Stadium was a World Cup Qualifier with England losing 1-0 to Germany with a Dietmar Hamann goal. The game was played on 7th October 2000 and was Kevin Keegan's last ever game as England manager. 10: In typical British fashion, demolition took over 2 years to start, and a year to complete. It was nearly 5 years more before the new Wembley opened with other stadiums around the country used in the interim. Most cup finals and playoff finals were played over in Wales, at Cardiff's Millenium Stadium. 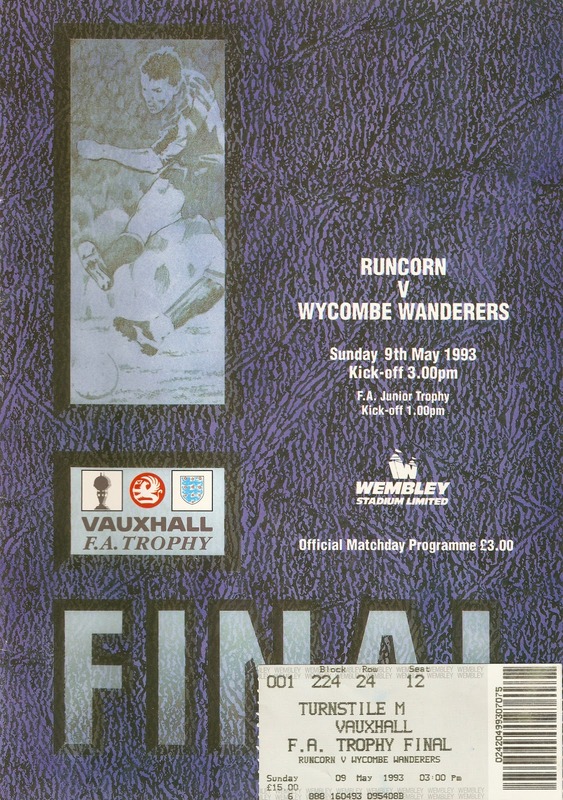 I made two visits to the old Wembley Stadium twice, both ended in decent victories for Wycombe. Firstly the FA Trophy Final, which to date is our last ever game in non-league football. I remember getting a special train to Wembley with my Dad and brother and having pretty decent seats, high up on the halfway line. Wycombe were overwhelming favourites for the game and were soon ahead when Jason Cousins made it 1-0 with just a couple of minutes on the clock, courtesy of a low drilled free kick. Andy Kerr made it 2-0 with a header with 20 minutes on the clock but Runcorn more than played their part in an entertaining game, pulling a goal back through Steve Shaughnessy, just before half time. Goals near the end from Steve Thompson & Dave Carroll sealed the win for Wycombe to complete a deserved win and the non-league double of FA Trophy & Conference title. Just over a year later I was back again. It was not as bright & sunny as the last time I went, and Wycombe had a much tougher game than their last visit. Preston took the lead on 32 minutes with Paul Bryson's excellent overhead kick. Wycombe equalised a minute later with a cross-shot, with a Preston defender helping it in. On 39 minutes Preston went back ahead through Paul Raynor, meaning Wycombe went into half time behind. Legendary manager Martin O'Neill must have given a rousing team talk at half time though as we were much better after half time. 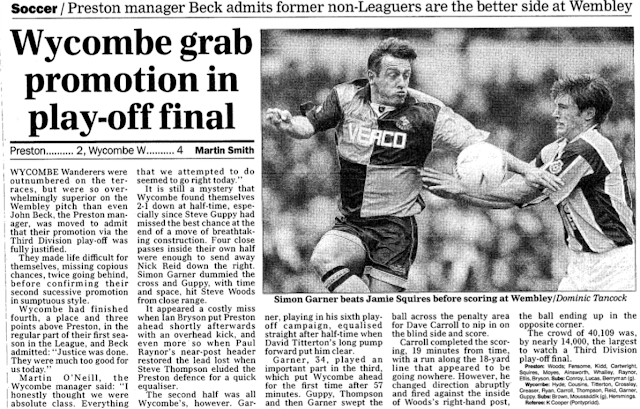 Simon Garner equalised a couple of minutes in with a cracking effort and 2 further strikes from Dave Carroll meant that Wycombe would win at Wembley and be promoted two seasons in a row. 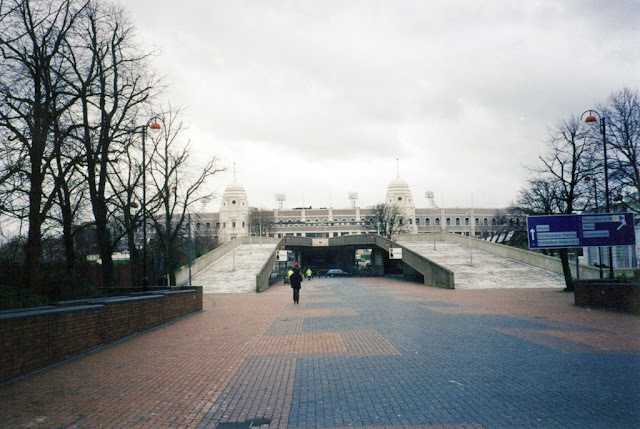 The bulk of my visits to the old Wembley Stadium were for England games. 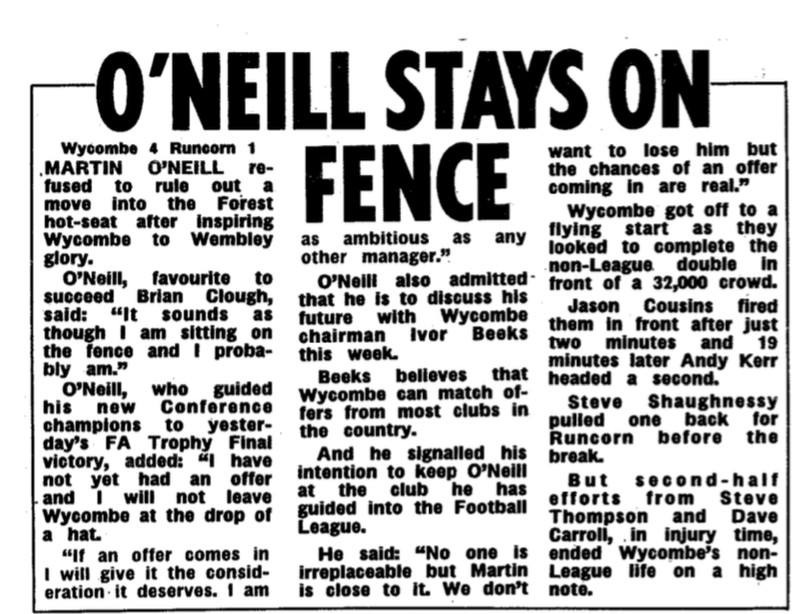 I was blessed with my Dad being able to get cheap tickets from his work so, he, my brother and I were regular attendees during the early Terry Venables era. I remember our first visit where there was a sell-out crowd and loving walking up Wembley Way. 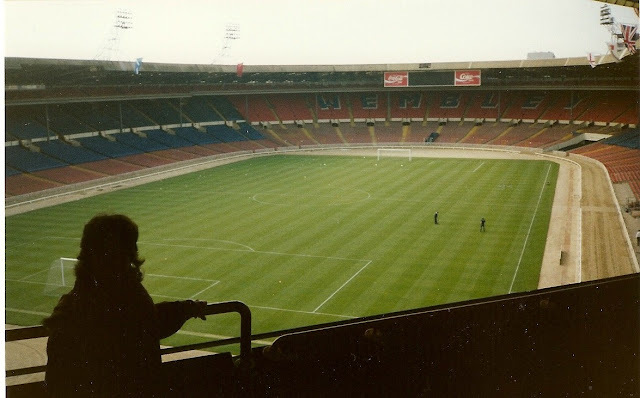 I remember the plethora of merchandise and food stalls and having Southern Fried Chicken and Chips from one of the outlets that lined the approach to the ground. David Platt got the goal that won the game and it was a decent strike too from what I remember. Terry Venables was by far my favourite England manager, but just like today, the performances were not consistent or perfect. We played neat flowing football but there were too few goals for my liking, at least when I watched them anyway. Highlights included seeing Darren Anderton and getting his autograph at the USA game and Rene Higuita's amazing scorpion kick save for Columbia in my final visit. Sadly, ticket availability dried up after that. It was a real shame as I'd have loved to go to Euro 96 which was our best ever performance in a tournament whilst I've been watching football. The old WEMBLEY STADIUM was the home of English football for many years and it certainly had some character with its famous twin towers. But to be honest, it was showing its age and looking a bit dilapidated by the time of its closure in 2000. This was in part due to the fact that it had been forced to go all-seater - with seats bolted onto the old terrace underneath. However, a day out at the stadium was an enjoyable, if expensive one. Sadly all my visits came before I had a camera so I've had to make do with whatever I could find on the internet.